Apple News is the long-awaited replacement for Newsstand that landed with iOS 9 last year. 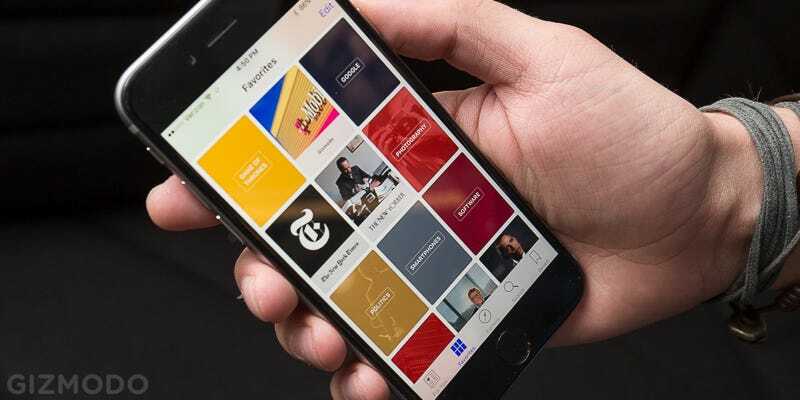 It’s a simple news app that displays content from a bunch of big-name publications, allowing users to read stories from right inside the app. Unfortunately, it seems that Apple has been failing to keep track of whether anyone’s really using it. Knowing how many people read a particular story is a vital function for publishers, especially when evaluating a brand-new platform for pushing valuable content. So it’s worrying that Apple’s Eddy Cue has told the WSJ that right now, neither Apple nor publishers know how many readers they have. The fault has apparently been ‘overlooked’ during the building of Apple News, an unfortunate mistake that Apple is working to rectify. In the meantime, Cue has revealed that 40 million people have used the app since its inception in September. That’s a big number, but without knowing how many of those users are regularly reading stories, it’s impossible to say whether Apple News is the future of content, or just Apple’s latest one-year fling with an idea.